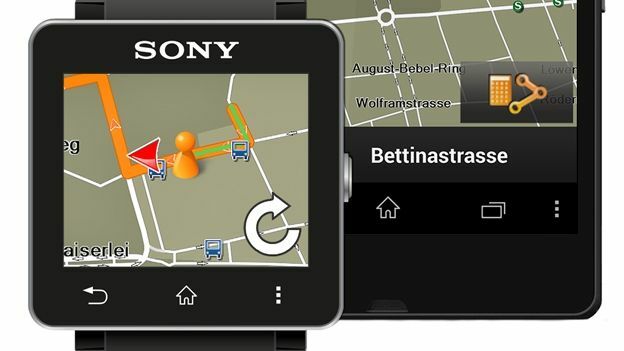 Garmin has a new app called the Garmin Xperia Edition which combines Garmin's own sat nav and navigation app with a Sony SmartWatch 2 extension that sends directions straight to your smart watch. With competitors like the new Samsung Gear 2 and the Pebble Steel looking to offer the most comprehensive smart watch Sony has teamed up with Garmin to launch the Xperia exclusive app. Offline maps are stored on your Xperia Z2 smartphone (or any Xperia smartphone for that matter) so you won't be steaming through data if you get lost. The app then sends the relevant navigation info straight to the SmartWatch 2 via Bluetooth whilst a simple user interface means you can zoom in and out on the watch using simple taps on the screen. Available at the end of March the Xperia Edition will come with lane guidance, speed warnings and lifetime traffic updates as well as automated walking guidance sent straight to the watch. Is the cheaper Sony Android SmartWatch 2 better than the Samsung Galaxy Gear?